Gaby Dow joined us for a great discussion about PUSD issues from a parent perspective. 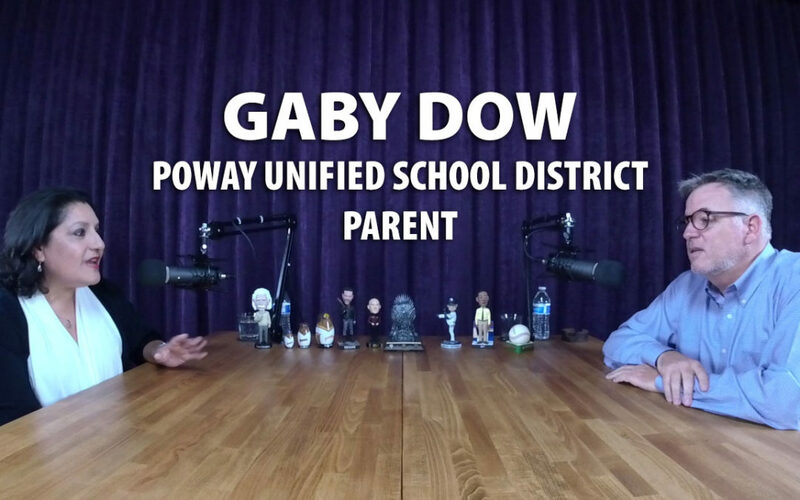 Gaby is a business consultant that works in the area where the public sector and technology intersect, so she had some great insight into Poway Unified’s technology plans. She served on the school district’s tech advisory committee and shared some of the frustrations and challenges facing the district and it’s IT strategy. Gaby shared in detail how a third party, hired consultant for the district chose not to offer recommendations due to the toxic culture at the school district. This led to the infamous report that John Collins later redacted with edits, thus thwarting transparency and preventing “dirty laundry” to be exposed to the public. We also covered PUSD’s data breach which Gaby was the recipient of when she requested a routine set of public records and instead received personal information on tens of thousands of students and their families. We also spent time discussing the districts’s financial challenges including the Billion Dollar Bond and the current structural deficit. It was enjoyable to discuss the dynamics of each of the current school board political races and the strengths and weaknesses of various candidates. We had fun pointing out hypocrisies of campaign slogans with actual reality as well as showcasing how the election districts are largely gerrymandered. There was so much more we could have covered! Gaby is a recent owner of a Tesla Model 3. We need to do a follow up segment about her car, electric vehicle ownership experiences and the entire EV marketplace. Plus Gaby does consulting for various public agencies including cities and water districts. Gaby will definitely be back! We went over an hour and a half just on PUSD. We’ll spend more time on more topics very soon.